NEW YORK, April 15, 2013 — BTIG LLC, a global financial services firm specializing in institutional trading and related brokerage services, will host its 11th Commissions for Charity Day on May 14, 2013. The annual Charity Day will once again feature celebrity “guest-traders” on BTIG’s trading floors across the country to help raise money for a variety of children’s charities. 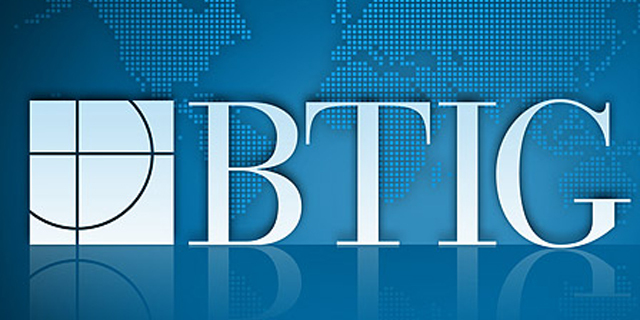 Among the celebrities that are expected to join BTIG this year are the following: Michael Strahan, Tom Coughlin, Victor Cruz, Justin Tuck, Eli Manning, Phil Simms, Joe Girardi, Mark Teixeira, Joe Torre, Reggie Jackson, Rex Ryan, Mark Sanchez, Nick Manchego, Victor Cruz, Lynn Swann, Petra Nemcova, Jeremy Roenick, Jim Boeheim, Steve Schrippa, Miss America Mallory Hagan, Kaitlin Monte, Hannah Storm and Michael J. Fox. BTIG LLC is a premier institutional brokerage and fund services company. BTIG continues to build its global franchise around a broad and experienced group of professionals who are leaders and experts in their respective fields. Founded in 2002, BTIG, including through its affiliates, employs more than 400 professionals in five different countries. BTIG serves customers worldwide and offers services in: Equity Trading, Fixed Income, Futures Trading, Convertible Securities, Equity Derivatives, Foreign Exchange, Prime Brokerage, Outsource Trading, Direct Market Access, Capital Markets, Equity Research and Corporate Access. BTIG has ten domestic offices: New York, San Francisco, Dallas, Boston, Chicago, Los Angeles, Greenwich, Red Bank, Atlanta and Orinda. The firm also has four overseas affiliates: London, Hong Kong, Singapore and Sydney.